In June 2014 I was invited to present at the New York City Digital Humanities (NYCDH) Omeka User’s Group Workshop at the Bard Graduate Center. 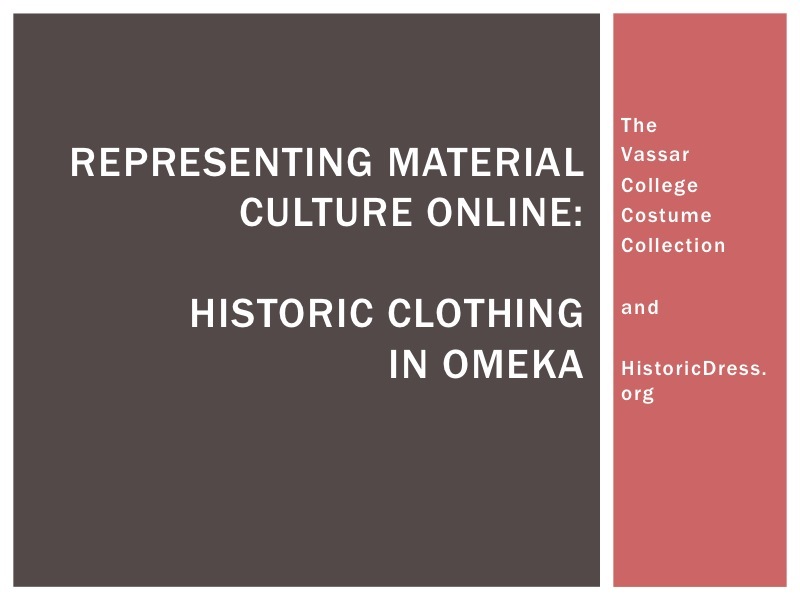 I spoke about my work with two different collections of historic clothing that are using Omeka as their platform, and shared some of the challenges of representing material culture online. This includes some details of the nuts and bolts behind each project, including samples of customized PHP for showing related items.